Time: Activities - 8:30 AM – 11:30 AM Breakfast Buffet - Two sittings (Start eating anytime between 8:30 – 9:15 AM or between 10:00 – 10:45 AM. 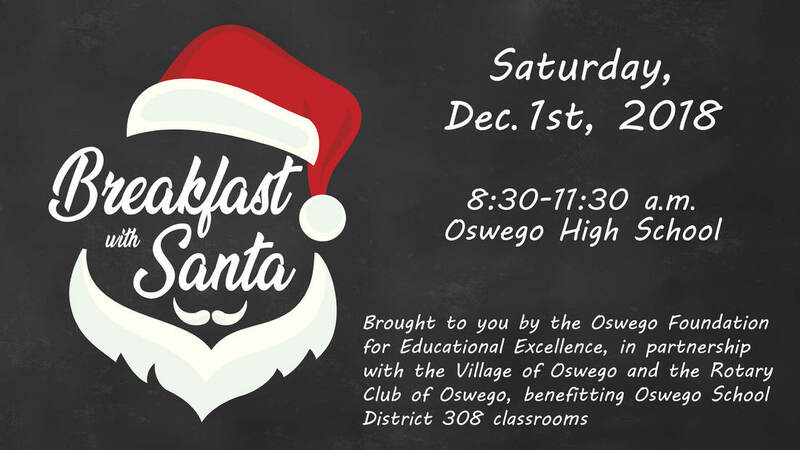 Tickets: Tickets are going on sale at 9 AM on Friday, November 2 online at Event Brite (applicable fees apply) with hard tickets being available at Huntington Learning Center in Oswego, SD308 District Office at Eastview or directly through OFEE Board Members. Advanced ticket purchase strongly recommended! Tickets on sale through EventBrite beginning November 2 at 9:00 AM.